In theory, finding a home for your website should be relatively easy these days. 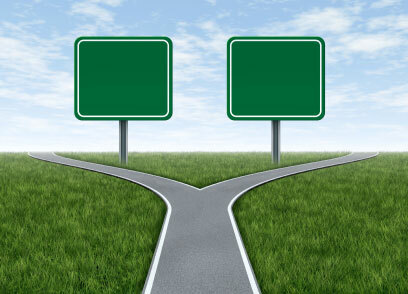 With so many quality hosts to choose from, you’d think that the decision would be fairly straightforward. The truth is that while many hosts promise the moon, few actually deliver the goods. As a result, one needs to be careful when settling on a host for the long haul. Two of the most reputable hosts available at present are HostPapa and HostGator. Each has a lot going for it and could work well for your next project. As you’d imagine, HostPapa offers users a range of basic hosting packages at entry-level prices. For shared plans, you’ll get unlimited disk space, bandwidth, MySQL databases and email accounts. Better still, you can host as many domains as you want on a single account. VPS packages give users the option of LAMP or Windows-based servers that come with default access to Perl, PHP, Python or Ruby for easy web development. Whether you opt for shared, VPS, dedicated or reseller hosting, HostPapa delivers all of the functionality you’d expect. Besides those basic features, HostPapa allows for simple manual backups that are practically foolproof thanks to their rock-solid RAID arrays. If you don’t fancy a WordPress or Drupal installation, you can use the free and full-featured Soholaunch drag-and-drop website creator to whip up a layout. One nice perk of HostPapa is their complimentary website migration service for new customers that are switching hosts. HostPapa regularly offers a slew of introductory discount coupons to choose from as well as $100 worth of Google AdWords credits. If you’re not satisfied, HostPapa boasts a 30-day money-back guarantee. As with HostPapa, HostGator starts webmasters off with nearly limitless disk space, tons of bandwidth and an SSL certificate for a bargain price. You’ll also get free website and domain migration, SSH access, FTP support and unlimited email accounts. You can even establish as many domains and MySQL databases as you need on a single account provided you don’t gobble up a ton of bandwidth. Entry-level plans run off of your standard CentOS or Debian servers boasting PHP, Perl and FastCGI support by default. One-click script installation via Fantastico allows for dead-simple task automation during the website setup process.With any HostGator plan, you can quickly tack on loads of functionality via cPanel. For instance, shopping carts can be added instantly with Magento. Likewise, a full-blown wiki can be crafted with MediaWiki in mere minutes. HostGator has over 4,500 website templates that can be used in conjunction with the Weebly SiteBuilder to put out any kind of site. Optimizing a fresh site is pretty painless thanks to available analytics engines such as AWStats and Webalizer to name just a few. Lastly, new accounts get an automatic $100 in AdWords credit to get started. Any host worth using should be fairly hassle-free when it comes to back-end administration. HostPapa passes this test handily with the inclusion of cPanel for tweaks as well as Softaculous for launching hundreds of free, automated scripts. You’ll get FTP access but sadly no SSH access for shared plans. Fortunately, there’s a solid Facebook Page Creator that comes with HostPapa’s Website Builder Premium. Likewise, mobile website creation is a cinch with the optional GoMobi software. Anyone can easily tack on an e-commerce storefront and run it with HostPapa eShops. In the reliability department, HostPapa compares favorably with most of its peers with an overall uptime of 99.87%. Ping times are better than average thanks to several well-placed datacenters spread throughout multiple jurisdictions. Sprightly SSDs, 8-core servers with 32GB of RAM and CloudFlare CDNs ensure responsive performance. Their top-of-the-line facilities boast fire suppression and water detection systems as well as round-the-clock security. In the digital security realm, HostPapa gives webmasters peace of mind in the form of impervious Thawte SSL encryption regardless of whether they opt for shared hosting or a standalone VPS. Like HostPapa, HostGator prides itself on reliability and speed. They’re able to boast 99.99% uptime thanks in large part to their distributed array of advanced datacenters. HostGator employs servers equipped with AMD Opteron 6000 series CPUs, speedy DDR3 ECC RAM and fault-tolerant RAID arrays to ensure consistent performance. A reliance on multiple telecommunications carriers all but guarantees that customers are never starved for bandwidth. In the security department, HostGator is every bit the equal of its competitors both in the physical and digital arenas. Even entry-level hosting plans come with a complimentary shared SSL certificate. If you need a hand during the setup or configuration phases when you’re launching a site, HostPapa staff is always there to help. They deliver better-than-average support over the phone or via online chat on a 24/7-basis. Whether you speak English, French, Spanish or German, ‘Papa’s people can help you to sort out any issue. Self-guided help can be had by accessing extensive documentation in the form of written and video tutorials. Finally, HostPapa holds tons of regular webinars hosted by their Papa Squad professionals to get webmasters up to speed. Despite its size, HostGator manages to provide an acceptable if somewhat pedestrian customer service experience. Whether you’re setting up a server or troubleshooting a networking issue, HostGator’s support staff can be reached 24/7 via email, support ticket, IM chat or phone call. Users can even participate in live discussions with company representatives on Twitter. If you need general questions answered in a flash, HostGator’s fairly expansive archives of FAQs should do the trick. All in all, HostGator has above-average customer support and self-help forums that should keep most clients more than happy. Basic shared hosting starts at just $3.95 per month as far as introductory rates go. Exact prices are pretty much impossible to finagle out of HostPapa at the outset. Since they depend on whether or not you’re bringing a domain name with you and how long you’re signing on for, monthly rates will vary. Regardless, solid shared hosting can cost as little as $7 a month. A VPS plan that comes with four CPU cores, 1.5GB of RAM and 50GB worth of storage is just $49.99 per month. An entry-level HostGator Hatchling Plan costs as little as $3.96 per month with a multi-year commitment and includes practically unlimited disk space and bandwidth. A higher-end Business plan comes with unlimited everything within reason and costs as little as $10.36 per month. If you need to move up to a VPS, an instance with 1GB of RAM, 60GB of storage and 1TB of bandwidth as well as plenty of extras is just $49.95 per month. Long story short, HostGator is more or less comparable to HostPapa in terms of bang for your buck. 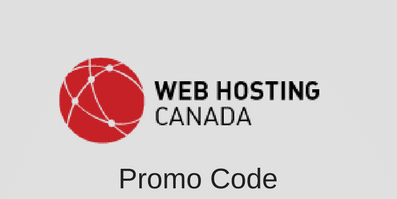 Get a 30% discount on any product and service on HostGator when you place an order using this HostGator promo code. Who’s the best, HostPapa or HostGator? As you can see, both hosting providers are highly attractive on paper and in practice for the most part. If you’re an experienced webmaster who doesn’t require much hand-holding, HostGator is a fine choice. If you’re looking for more of a personal touch in the customer service department, HostPapa is the better option at this time. It’s not unfair to say that HostPapa has a moderate cumulative edge over HostGator for the average webmaster when all is said and done. This entry was posted in Articles on November 19, 2014 by WHR.